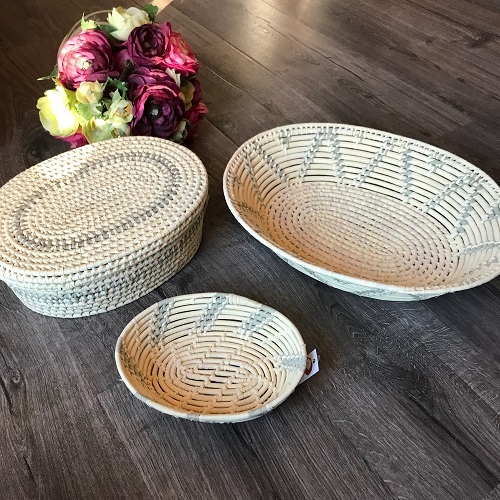 This beautiful basket has endless uses and its neutral color fit every decor. 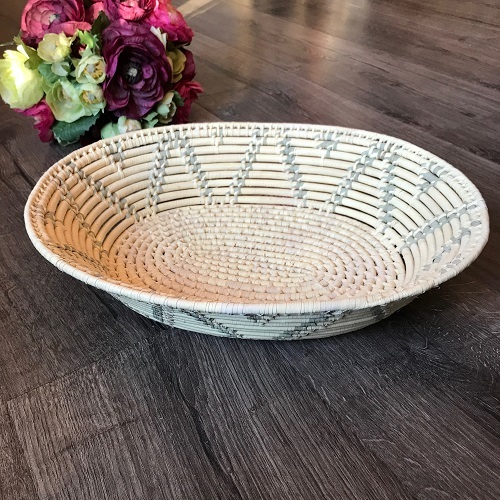 It was woven by Haitian artisans through 2nd Story Goods, an organization that supports impoverished artisans in Haiti as they create and sell their handmade goods to support their families. For these women, the best way to keep their daughters from being trafficked is to educate them and keep them in school. 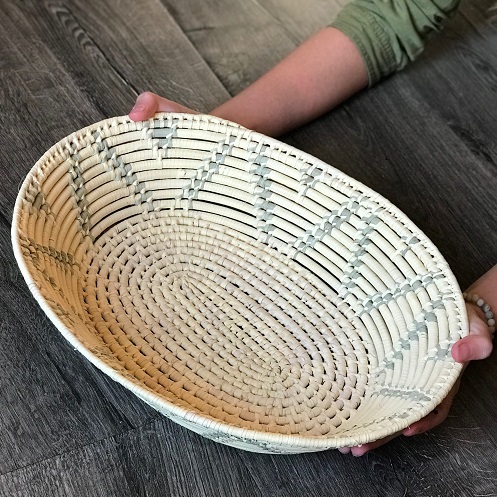 Because school is expensive, earning money by selling handmade goods is one of the best ways these women can support and protect their children. 15"x12"x3"